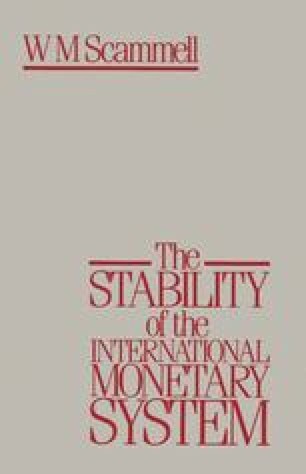 The central theme of this book, if it has escaped the reader so far, is of an international monetary system which, while constantly adapting itself to change, has constant attributes which must be held in equilibrium if the system as a whole is to survive. The relations of these attributes may change, and this gives the system flexibility. But the attributes must all be present and work together if breakdown is to be avoided. So far, the teaching of history appears to be that the flexibility of the system is considerable. Thus even in the 1930s when the system came nearest to breakdown, for lack of direction and for weakness in the adjustment mechanism, the system bent but did not fracture. In the nineteenth century, when the elements were all present, the system worked as well as it has ever done, demonstrating its adaptability, albeit in economic conditions more tranquil than those which were to follow as the twentieth century unfolded.